Well, can you believe Monday will be TWO months since we arrived in Kenya? At moments I feel I just left, at so many more, it seems like NINE months. So much has happened… Both here and there. So much emotion has stirred my heart… if emotion was gauged by time… I have aged 5 years. TOP OF THE LIST…. 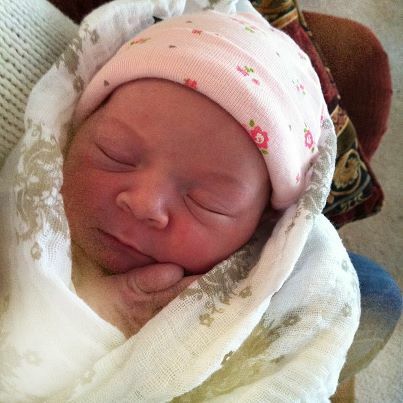 Meet Naomi Grace Saul. Yes, if you even need to ask, it has been harder than hard, more painful than imagined to be so far from the welcoming event of Naomi. My girls have been amazing with constant pictures and videos. And, just as she did with Levi when he was born in Canada, my sweet grandma partner, Barbara (Rachel’s mama) blessed me with a beautifully written detailed description of our precious little girl with the eyes, ears and heart that only her grandmother could do. I know I’ve share with many and have blogged the details… But the certainty I have known of God’s call on our lives to come to Kenya has sustained me more than I can express. Many tear filled nights, a few breath gasping moments, concentrating hard… Making myself fix my eyes…. And taking captive my thoughts… I have clung to my Hope, I have been reminded of His Faithfulness and I have and continue to TRUST HIM! I have and continue to KNOW — He is worth it! My God is worth it!! This week God blessed me so deeply. I wandered down the lane and saw a young woman I met a few weeks ago. Elizabeth. I have only ever seen her with her 7 month old little girl bundled on her back and this day was no different. “Oh Elizabeth, Habari za mchana?” She smiled at me such a sweet sincere smile. I tried some more Swahili with her, she giggled and strained to see my “mwakenya”, Shang or slang for “cheat sheet”. Yep, I have one, I admit it, AND I am laminating it this weekend!! We talked for a few minutes, me trying my Swahili Elizabeth correcting me with sweet grace. She suddenly began to look around a bit nervously and said she had to finish her work. She bent over at the waste, with her precious load hugging her back, and picked up some twine and a large white clothe bag, similar to the ones I see daily strapped to backs, to donkeys and even motorcycles, stuffed full of one crop or another. She started into the field beside the road. I asked her if I could go with her, and she looked back at me a bit bewildered, “sawa sawa” she said and I promptly stepped unto the muddy trail and followed her through the corn, cabbage, beans… Each patch she would pause for me to give her the Swahili name. She paused at one I didn’t know, she bent over and pulled out a carrot…. “karoti”. She giggled because it was a borrowed word as she wiped it off on her apron and took a bite. Towards the other edge of the shamba we stopped, she dropped the bag and the handful of twine. Without missing a beat in our conversation she bent over and in a few short moments having swung around to several plants, grabbing a string, she stood up with a bundle of spinach and tied it up. The next one she came up with I took from her and somehow managed to have it tied before she straightened up with the third bundle. I followed her around, she, gathering the bundle of goods, and me, wrapping the piece of twine, tying the last little bit in a knot. After a dozen or so, we could continue our conversation while working. We talked of several things and at some point I must have said something about having been praying for something. I don’t even remember what. But without straightening up, she turned to me and said, “I use to pray to God, but” and with her arm just above her head “they only go to here”. Wow… Out of no where…. In a field of mud and well harvested vegetables, God had swung open a door… A door I had cried for in my prayers. Honestly, I prayed more than I responded. I did tell her, when she said she wanted to know God more, that He wanted that more than she did. She wasn’t out there today… I worried I might have gotten her in trouble or something. Her son, Chris said she was at the shamba on the other side, too far to walk, he said. So I prayed for her and for her friend that had come at the end, Grace. Grace dropped her wall of reservation quickly as I “practiced” my Swahili and oohed at her name and told her that it was one of the names of my new “moja wiki wajaku!”. And, in case you are wondering, I had pictures with me, yep, even in the shamba! We are leaving tomorrow to camp out at our friends for the Monday Presidential election. I hope to see Elizabeth before I leave. I want to remind her that when I get back, we will start that Bible Study I am working on and she can help me to get it down in Swahili. She seemed excited about that. I know I am. Please… Be praying… Pray for the elections… Pray for Kenya… Pray for peace…. Pray for protection of the sweet and precious people of this beautiful country. And… Pray for Elizabeth. Pray for Grace. Pray for time together and that Elizabeth will come to know God well, His deep love for her, His faithfulness, His grace and His kindness.